TIED TO THE TEMPORAL WORLD expertly fuses comedy and sincerity to match its lighthearted story and steady pace. While the plot can sometimes be confusing, the film more than makes up for it with excellent artwork and characters. If you’re looking for a heartwarming film with a lot of spirit(s), then look no further: NATSUME’S BOOK OF FRIENDS: TIED TO THE TEMPORAL WORLD has you covered! 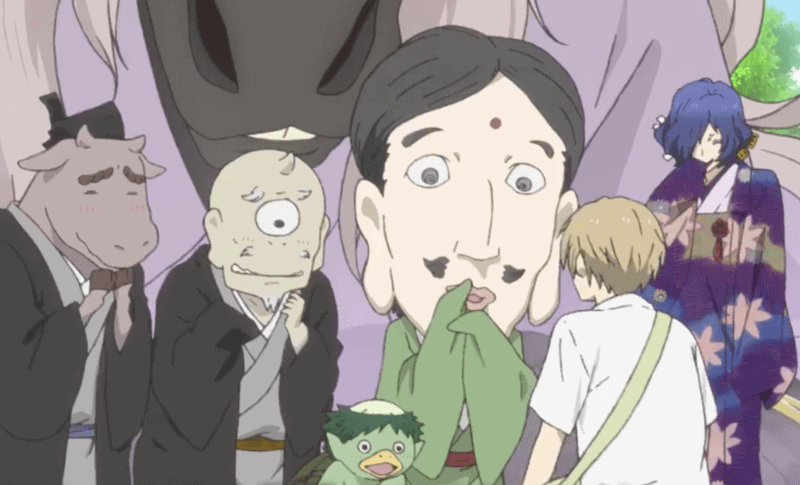 The NATSUME movie doesn’t continue the anime’s plot, but it does follow the same premise. 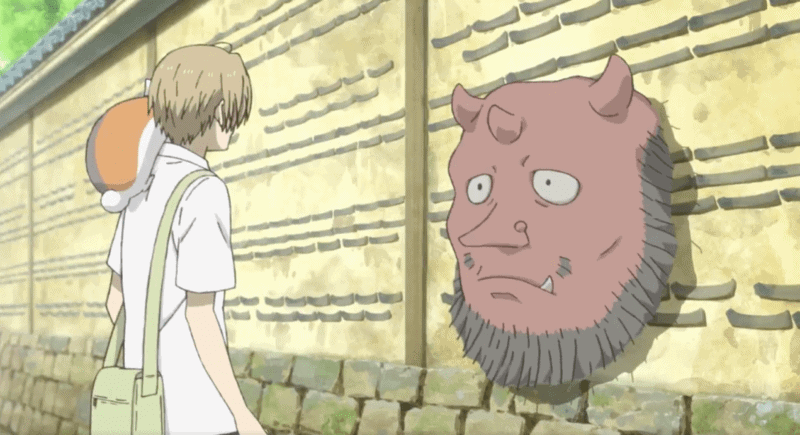 NATSUME’S BOOK OF FRIENDS follows the story of Takashi Natsume, a teenager with the ability to see yokai, or spirits. Takashi inherited this ability from his grandmother, Reiko Natsume. After her passing, Takashi discovers an old book among Reiko’s belongings; a magical book known to yokai as “Natsume’s Book of Friends.” In her youth, Reiko would bully yokai and force them to write their names in the book, thereby becoming her servants. Years later, Takashi finds himself returning the yokai’s names with the help of Nyanko-sensei, a spirit taking the form of a lucky cat. 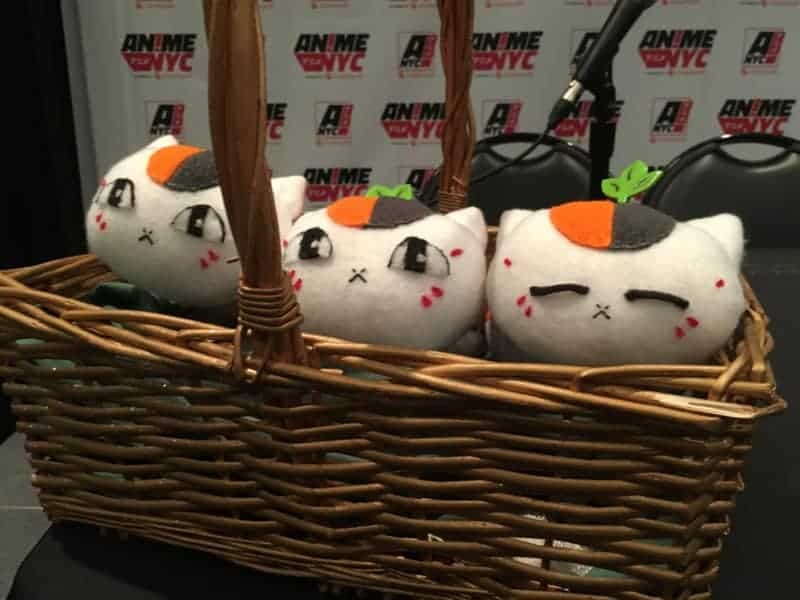 These three cuties were featured at the AnimeNYC screening of the film! In TIED TO THE TEMPORAL WORLD, Takashi and Nyanko-sensei face yet another yokai asking for their name back. This yokai travels through the shadows of walls and tells Takashi a story about his grandmother. Led by the yokai’s memory of his grandmother, Takashi journeys to a neighboring town and meets Yorie, an old woman who knew Reiko in her youth. When Takashi returns home the next day, a strange tree appears in his front yard. Unable to resist the temptation, Nyanko-sensei devours fruit growing on the tree. 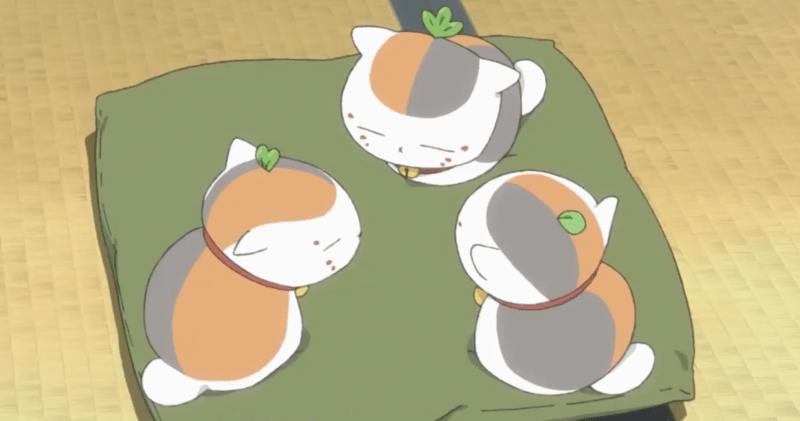 The next morning, Nyanko-sensei turns into three smaller Nyanko-senseis! Takashi and his friends (both human and yokai) scramble to find Nyanko-sensei a cure. 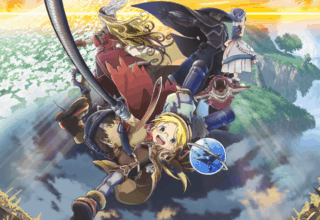 Their quest leads them back to the town where they met Yorie. There, Takashi and his friends work together to cure Nyanko-sensei and keep yokai from running rampant in town. At the beginning of the film, Takashi introduces himself and his friends, explaining his self-assigned duty to return the yokai’s names. 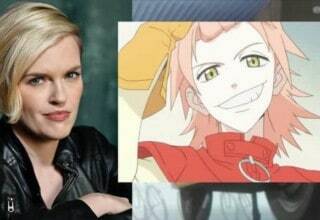 Only two new characters make an appearance in the film: Yorie and her son, Mukuo. Some secondary characters, like Hinoe and Misuzu, assist Takashi in the quest to help Nyanko-sensei. However, they don’t feel out of place. Their short appearances don’t take anything away from the story. 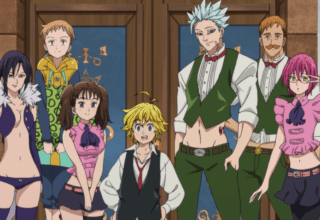 The film’s brief explanation of the premise and short cameos of characters featured in the main series make it easy for anyone to watch. The NATSUME movie is viewer-friendly due to these minor secondary character appearances and overall softness of the plot. Takashi and friends must find a way to return Nyanko-sensei to his normal self and, along the way, save two yokai. The plot is simple and straightforward, easy for fans and newcomers to digest. However, this lack of complexity in the plot is also a weak point for the film. While simple, the plot can also be confusing in its attempts to resolve itself. When Nyanko-sensei finally returns to normal, the characters briefly gloss over the reason for his initial change. It feels weak and unexplained, and as a result, confuses the plot point as a whole. As viewers, we understand the reason why strange things happen in Yorie’s town — a result of a yokai’s curse. But this curse also attempts to explain Nyanko-sensei’s transformation and the resolution just doesn’t stick. Overall, TIED TO THE TEMPORAL WORLD has too many different threads working together simultaneously. Nyanko-sensei’s transformation, the wall-traveling yokai, and the other two yokai provide too many points for the film’s simple story. With such a simple plot, TIED TO THE TEMPORAL WORLD, naturally, has slow pacing. NATSUME doesn’t place a heavy reliance on action or yokai fight scenes. Instead, it relies on character relationships and dialogue to move its plot forward. The story generally focuses on people and yokai, teaching Takashi important lessons on relationships and life. TIED TO THE TEMPORAL WORLD follows the same formula. It focuses on Takashi’s budding relationship with Yorie as someone who knew his grandmother. The movie doesn’t feature much action until the very end when Takashi and his friends work together to save the two yokai. While some shows and films might suffer from a simplistic plot or lack of dramatic action, the slow pacing works well for NATSUME precisely because it focuses on the characters. None of TIED TO THE TEMPORAL WORLD feels slow or agonizing. Rather than being a drag, film’s slow pacing works perfectly. It gives the film just enough time to properly introduce plot elements. Takashi actually gets to know Yorie and Mukuo and the relationships don’t feel rushed or forced due to the small time frame of a movie. The pace is perfectly balanced with occasional elements of comic relief, as well. Nyanko-sensei’s transformation and other silly gags are peppered in perfectly to avoid scenes from dragging on for too long without development. The slow pace also works for NATSUME’s aesthetic. Similar to shows like MUSHI-SHI or KINO’S JOURNEY, NATSUME embodies a meta feeling that makes viewers continually question. 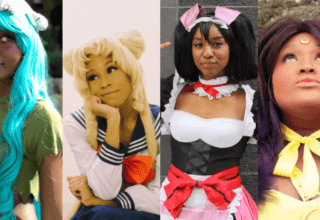 The emphasis on character development is a testimony to that. TIED TO THE TEMPORAL WORLD elaborates on that aesthetic, giving the same feel-good, heartwarming emotion when the movie ends. 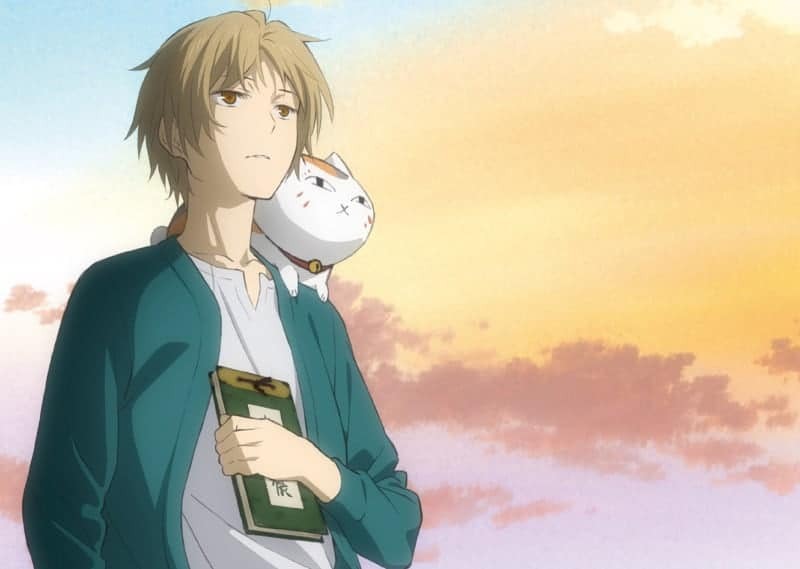 NATSUME might not be the quickest or most action-packed series, but it doesn’t leave you feeling any less fulfilled. To complement the pace and emotional aesthetic, TIED TO THE TEMPORAL WORLD features crisp, simple character designs. The art uses a soft palette, emphasizing greens and other cool colors. The artwork isn’t overly flashy or showy, but smooth and pleasing to the eye. Human characters rarely stand out with crazy hair and eye colors in the way other anime characters might. But their designs are still distinct and recognizable, further emphasizing a theme of humanity present throughout the film. 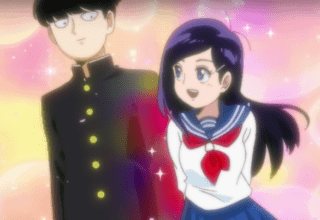 The animation is just as smooth. It flows seamlessly and fluidly, showing much promise for the future of the series overall. Like the rest of the film, the animation was stylistically simple yet stunning. 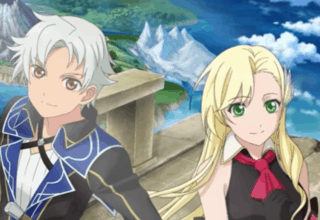 TIED TO THE TEMPORAL WORLD works well as a side-story to the rest of the series. 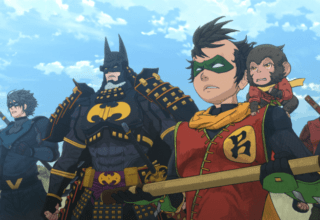 It doesn’t introduce too many new elements and briefly reintroduces old characters, making it easy for anyone to get into the series if they haven’t already. 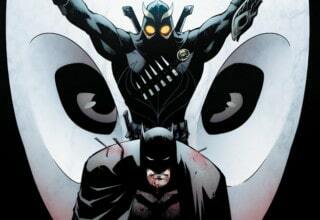 The story doesn’t over-explain itself, either, keeping the interests of veteran fans already familiar with the series. 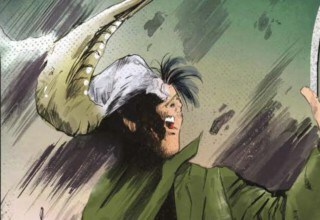 While the film uses some plot points that appear to be in conflict with one another, the confusion is amended by the characterization and development. The explanation for Nynako-sensei’s mysterious transformation feels weak in the end, but the film more than makes up for that with its beautiful aesthetics, artwork, and animation. If the only complaint I have is that some minor plot points don’t always work together, then I’d say that overall, the NATSUME movie is a success. It still delivers that same heartwarming feeling as the rest of the story, making something that both new and old fans alike can enjoy. 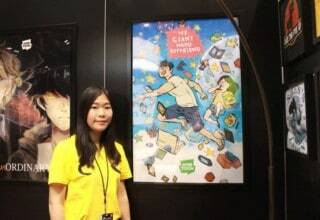 It’s a cute, meaningful story with a wonderful aesthetic. Whether you’re a long-time fan of the series or you’re just tuning in, TIED TO THE TEMPORAL WORLD is definitely a film to add to your watch list! 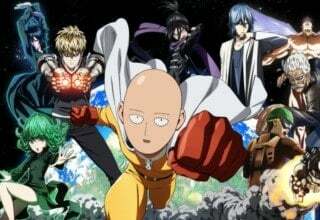 Featured image courtesy of Crunchyroll.